In 2012 the AFL introduced their Multicultural Ambassador Program, which sought to aid in introducing the AFL to communities of cultural and linguistically diverse backgrounds. 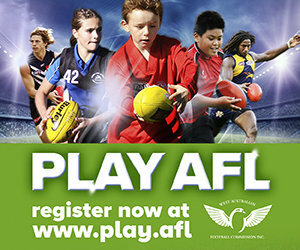 Players chosen to be ambassadors were described by then AFL CEO Andrew Demetriou as “leaders” and worked towards “attracting new people to the AFL”. Based in Victoria, Western Australia, and South Australia, 10 multicultural ambassadors were chosen to encourage multicultural communities across Melbourne, Perth, Adelaide, and rural areas to participate in Australian Football. In 2014, Lin Jong, the only current AFL player of East Timorese and Taiwanese descent, was chosen to become one of the five new Multicultural Ambassadors for that year. Lin Jong was recruited by the Western Bulldogs in the 2012 Rookie Draft at pick number 9 and made his debut in round 20 of the same year. In his role as a midfielder, Jong has had a standout start to the season, averaging 19 disposals. After being selected by the Western Bulldogs, Jong received a letter from East Timorese Prime Minister Xanana Gusmao, congratulating him on his achievement and wishing him luck for the future. As an ambassador, Jong will be involved in participation programs in the Western suburbs of Melbourne that will include a multicultural Auskick centre, and facilitating cultural education sessions with community football clubs. Chosen for his commitment to growing the game nationally and providing an inclusive environment for attracting people from all cultural backgrounds, Jong will be heavily involved in the Multicultural Round which will this year be held in Round 19. With multicultural players making up 15% of the players list for the 2015 season, the Multicultural Round will this year highlight the community engagement initiatives that are being undertaken by Lin Jong and his fellow ambassadors. The Multicultural Round, named ‘Many Cultures One Game’, will celebrate the passion for Australian Football that many diverse cultures share. The round also showcases the contributions many multicultural communities have made throughout the history of the game, which proves that AFL is a sport that embraces everyone, no matter who you are or where you come from. In his role as an ambassador, Jong has a firm stance for cultural acceptance and hopes to spread a message of support for those from diverse cultural backgrounds. With the many opportunities afforded to him by the Ambassador Program, such as the Australia Post AFL Community Camp which was held back in February, Jong aims to teach the community more about embracing and accepting diversity. Jong’s commitment and natural outspoken nature on this topic makes him the perfect ambassador for the program. To find out more information on Lin Jong and his role as an Australia Post AFL Multicultural Ambassador, head over to afl.com.au. 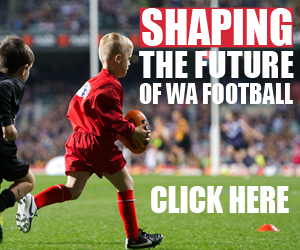 For more information on multicultural programs run by the WAFC, you can visit wafootball.com.au.